My good friend and colleague, Prof Jose Nandhikkara CMI of Bangalore, has kindly asked me to write an article for his excellent Dharmaram Journal on Wittgenstein and pedagogy. I am just nearing the final proofs but thought I would append some 'edited highlights' (as is usual on this site) for your amusement. It also ended up as a reflection on 20 years of teaching Wittgenstein... quite a thought! Ludwig Wittgenstein (1889 – 1951) famously characterised the aim of his philosophy as showing ‘the fly the way out of the fly-bottle’. Much ink has been spilt as to what exactly he meant by this phrase and, indeed, the major thrust of his philosophy tout court (as we shall see shortly). In this article I shall present one interpretation of the phrase. My argument will be that by working on the gossamer-light interface between what can and cannot be said, Wittgenstein’s philosophy gently coaxes each reader from the ensnaring prison of the discursive intellect to a wider, non-discursive, Blick or view on existence. In so doing the philosopher, rather like the therapist, cannot confine herself simply to words but must work on the subtle choreography between saying and showing. Recent commentators such as Alain Badiou have gone so far as to suggest that Wittgenstein is better considered as an ‘anti-philosopher’ who attacks the very roots of Western philosophy itself. Beginning, therefore, with a brief review of some of the problems of Wittgensteinian interpretation that have arisen in the half century since his death in 1951, I shall then turn my attention to two ways in which the Austrian encourages his readers to ‘work on themselves’, that is, through the development of the Übersichtliche Blick and a discourse that moves from thinking to seeing to acting. I shall conclude that although some of Wittgenstein’s unorthodox methods may trouble or disturb his readers, his ultimate aim stays deeply wedded to the ancient quest to root philosophy in wonderment. In this respect, I will argue, we can see his philosophy as much as therapy as pedagogy – a true working on the soul. Academic philosophy in our day stands to Wittgenstein as intellectual life in Germany in the first decades of the last century stood to Kant. Kant had changed everything, but no one was sure just what Kant had said – no one was sure what in Kant to take seriously and what to put aside. Consequently, amongst the Wittgensteinian secondary literature we see a split between those commentators who see the work of the later Wittgenstein as continuing the work of the earlier Wittgenstein and those who see a new anti-theoretical shift in the post-Tractatus works. To add to the confusion, a recent book, The Third Wittgenstein: The Post-Investigations Works has argued that the parts of the Nachlass that have appeared charting the latter period of Wittgenstein’s life, in particular On Certainty, suggest a third interpretation of Wittgenstein that transcends even the position developed in the Investigations. 1. Those who remain with the traditional division between the ‘earlier’ and the ‘later’ Wittgenstein and see the later works, especially the Investigations, as a critique of the earlier works, especially the Tractatus. Representative of this trend would be Peter Hacker whose Wittgenstein: Connections and Controversies makes this point. 2. 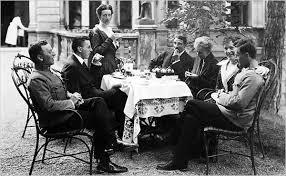 The so-called ‘new Wittgensteinians’ who see a theoretical union between the early and later Wittgenstein and reject any notion of a firm break between the two. 3. Those who regard the ‘third Wittgenstein’ of the ‘post-Investigations works’ (so-called) as presenting a third and more radical departure from the Wittgensteinian corpus. 4. To these three interpretations, we could possibly add a fourth, a growing body of Wittgenstein scholars who, following Wittgenstein’s own remarks in the latter works of moving from the theoretical to the practical, or from saying to showing want to emphasise the importance of the biographical elements of Wittgenstein’s life and use them to gain a more complete picture of what his thought was trying to achieve. Again, a key collection of essays, Wittgenstein: Biography and Philosophy has acted as a vessel for presenting this interpretative strand. Included in this group would be those (such as myself) who want to also emphasis the Wittgenstein’s role as a therapist as much as a theoretician or logician. 1. They present ‘a linguistic, logical, genealogical critique of the statements of philosophy... an unraveling of the pretensions of philosophy to constitute itself a theory’. 2. They see that philosophy is ‘an act, of which fabulations about ‘truth’ are clothing, the propaganda, the lies.’ (cf. T 4.112 ‘Philosophy is not a body of doctrine but an activity’). Badiou’s ‘anti-method’ is then, I conclude, the spirit with which we should approach Wittgenstein’s works as a guide to pedagogy – an approach that through the use of Übersichtliche Darstellung and astonishment will stimulate the move from thinking to seeing to acting that will lead to the position described finally at the end of the Tractatus: “There are indeed things that cannot be put into words. They make themselves manifest. They are what is mystical.” But rather than ‘anti-philosopher’ I would rather conclude that Wittgenstein is the philosopher of wonderment par excellence. Wittgenstein, Philosophical Investigations, G. E. M. Anscombe and R. Rhees, Oxford: Blackwell, 1958, 309. R. Rorty, “Keeping Philosophy Pure,” in Consequences of Pragmatism (Essays 1972 – 1980), Brighton: Harvester, 1982, 20. D. Hutto, Wittgenstein and the End of Philosophy: Neither Theory nor Therapy, London: Macmillan, 2003. D. F. Pears, The False Prison: A Study of the Development of Wittgenstein’s Philosophy, Volume 1, Oxford: Clarendon, 1988, 218. D. Moyal-Sharrock, The Third Wittgenstein: The Post-Investigations Works., London: Ashgate, 2004. P. M. S. Hacker, Wittgenstein: Connections and Controversies, Oxford: Clarendon, 2001. A. Crary, and R. Read, The New Wittgenstein, London: Routledge, 2000. J. Klagge, Wittgenstein: Biography and Philosophy, Cambridge: CUP, 2001. S. Cavell, S. Must We Mean What We Say? Oxford: OUP, 1976; The Claim of Reason: Wittgenstein, Skepticism, Morality and Tragedy, Oxford: OUP, 1979. In this vein see, for example, J. Nandhikkara, Being Human after Wittgenstein: A Philosophical Anthropology, Bangalore: Dharmaram Publications, 2011. Please find an introduction to a unique Philosopher and Artist whose work begins where Wittgenstein inevitably got stuck. In other words he really did climb the ladder of Wittgenstein's propositions and then jumped off into the Infinite Love-Bliss-Radiance in and as which all of this is floating.